Utilize Ad Groups With Keyword Themes – I can’t tell you how many times I’ve seen one campaign with one ad group and one HUMUNGOUS list of unrelated keywords. The best practice is to gather similar keywords and keep them in one ad group. The reason for this is because you want to create relevancy for the end user. You want the keyword that they type into the search engine to be related to the ad they see and the landing page they navigate to after clicking the ad. Testing – You don’t want to create a PPC campaign and then just leave it there to “run its course.” You need to diligently manage it to ensure you are getting qualified traffic to your site and not misspending your budget. There are so many things you can test with paid search but one of the first things to test is new keywords or even changing your keyword match types. Add Negative Keywords – Review the actual keywords that are triggering your ads to show up. If they won’t bring qualified traffic to your website, add those keywords as negative keywords, either at the campaign level or the ad group level. This basically means that if a user types in that particular keyword your ad will not show. Integrate Adwords and Analytics – Relying on Adwords data alone to help you make decisions based on your keywords and overall PPC campaign could get you into a lot of trouble. Google Analytics (or another type of analytics) offers extremely valuable information about your website users and the way they engage with your site. You don’t want to miss out on gaining these additional insights and reports so it’s very important to link your Adwords and Analytics. Add Sitelink Extensions – Not only can utilizing sitelink extensions give you more real estate on the search engine results page but you can also help users out by getting them to the page on your site that they are seeking quicker; with less clicks. Use Landing Pages – Relevancy is so important on so many levels but mainly for the end user. For example, if they type in “red knit sweater” and see an ad for your site promoting red knit sweaters and click on that, they should end up on page showing red knit sweaters. However, if they landed on a page for blue jeans they’re likely to bounce or have to spend time searching for what they want. Make it easy and seamless for a user to convert on your landing page once they get there by making their primary search and landing page experience relate to each other. Target By Location – If you’re a local business or only service a particular geographic region, be sure to add a target location in your campaign’s settings. Think about it like this, if you’re a hair salon in Atlanta you don’t want to spend your PPC budget on someone who needs a cut and color in Topeka, Kansas. Pause Underperforming Keywords – This one is a hard one for me because I like to believe that I have done enough keyword research to validate the keywords I bid on. However, only real data can prove or disprove theories, so if you’re bidding on a keyword that is bringing tons of traffic to your website but that traffic just isn’t converting, you need to reassess that keyword. Assess Your Competitive Landscape – Whenever you enter a marketing space you assess where you stack up against your competitors. But one thing you may forget to do is to continue to assess the space. New competitors are entering the space or changing marketing methods and you, as a pay per click professional, needs to stay one step ahead. One of my favorite reports to look at in Adwords is the Auction Insights details. This report shows how you stack up against your competitors on things like impression share, ad positions, and top of page rate. Track Conversions – No matter if you are an e-commerce selling products or a B2B working to generate leads you should always track how your PPC campaigns effect your business’ bottom line. One easy way to do this, once your Adwords and Analytics are linked, is import your goal tracking to Adwords. This makes it easy to directly see conversions by keyword, ad group, and campaign. 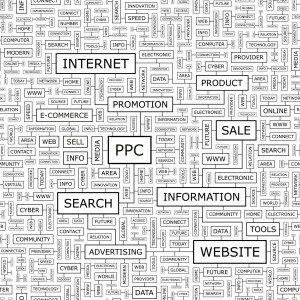 What other PPC tips do you think are important for keeping an organized, well performing campaign? Feel free to share your thoughts in the comment section below.